Nick Hill is the director of rugby at the Virginia Commonwealth University Men’s Rugby Club. 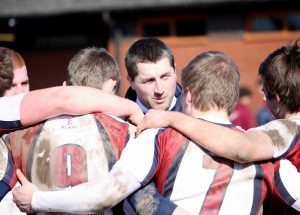 Previously he was head of athletic development and athletics/cross country at the Stowe School in England and also worked in various other roles in athletic development and rugby, including the the director of rugby and athletic development at the Grange School in Chile, coach of the Old Grangonian Club, and director of sport and rugby at Denstone College. Nick Hill is the director of rugby at the Virginia Commonwealth University Men’s Rugby Club.